Graber Blinds® has a vast catalogue of window treatments in alluring colors, textures, and patterns. Whether you’re looking for blinds, shades, shutters, or fabric treatment options, Graber® has all kinds of products that will tailor fit your design space. Graber has been around since 1939, meaning they know their window treatment options. They are committed to the practice of sustainability by utilizing Earth-friendly packaging, recycling, sourcing, and more. Graber also practices a Limited Lifetime Warranty that can give you peace of mind during your purchasing decision. Graber window treatment options including shades and blinds all center around an idea: your blinds and shades should help make your home as energy efficient as possible. What does that mean? Your windows are an area that, no matter how hard you try, air will both enter the home and escape the home. With the addition of energy efficient shades or blinds, you can help reduce air loss (including temperature loss during hot or cold seasons), as well as reduce sunlight coming into your home and causing fluctuations in your air temperature. When completely lowered, Graber boasts a 40% heating and cooling energy loss reduction. This is an excellent choice for the energy-conscious homeowner. 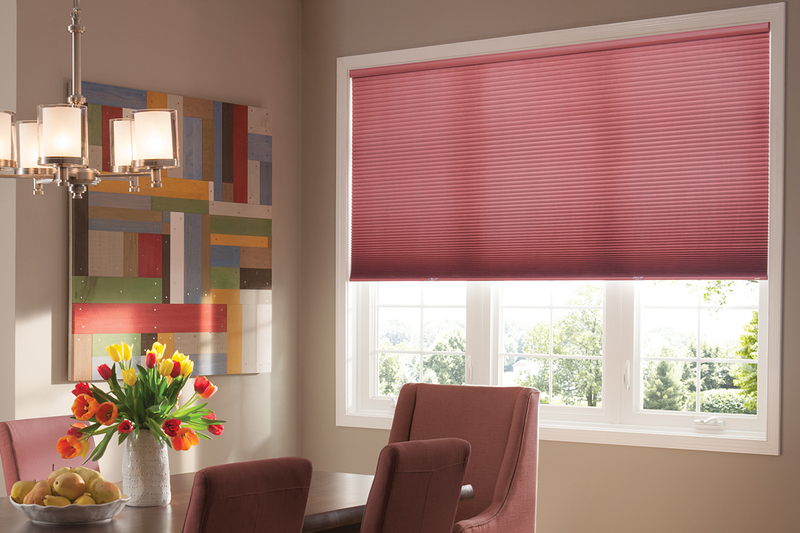 On top of a variety of types to choose from, Graber® also offers motorized blinds and shades to simplify your home. Graber®’s revolutionary “Virtual Cord” system provides you with a detachable remote to allow you ease of control from almost anywhere in your room – up to 65 feet away. We know choosing a window treatment option for your space can be difficult. There are countless options out there for you to choose from. That’s why we offer our come-to-you service to help you assess your space and assist you in making the right decision for your space. We can help you decide what is best visually as well as for your ease of use. Ready to get started? Schedule your come-to-you appoint with B. Burton Custom Decor today!